The Principals: Directed by Jules Dassin, starring Jean Servais, Carl Mohner, and Robert Manuel. Based on the novel by Auguste le Breton. The Premise: Aging criminal Tony le Stéphanois collaborates with three other ex-cons to pull off one last heist. But even perfect planning and execution can’t predict the interference of a scumbag Parisian gangster. 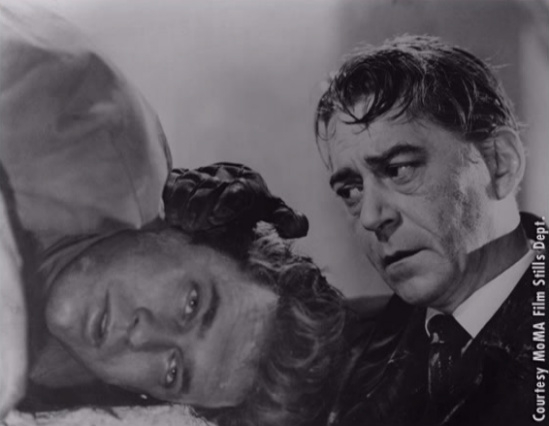 Is It Any Good: Rififi is a flat-out brilliant and brutal caper that transcends the crime genre. It’s the complete antithesis of the decadent Hollywood heist films where everyone’s dressed as a GQ model and immune to perspiration. The four ex-cons of the film live in a much darker world where plans are hatched in dank basements and shootouts occur in secluded hills. There’s nothing pretty about the film – except for perhaps Magali Noel as the seductive lounge singer Viviane – but it still manages to be unquestionably beautiful in its execution, structure, photography, and moral nucleus. It’s not until he drops in on his old flame Mado that Tony changes his mind about the jewel heist. While he’s been doing time, Mado’s been shacked up with nightclub owner Pierre Grutter – a gangster so vile he keeps his junkie brother dangling from a string with doses of heroin in exchange for dirty work. Upset over her newfound crib and expensive clothes, Tony forces her to strip and then viciously beats her with his belt. It’s as tasteful as a woman-battering scene can possibly be. The beating takes place off screen as the camera zooms in on an old photograph of Tony and Mado during happier times. Dassin’s use of silence and natural sounds (breathing, footsteps, a chisel) in the scene is ingeniously constructed to ratchet up the tension to the point where an accidentally struck piano key will make your heart stop. 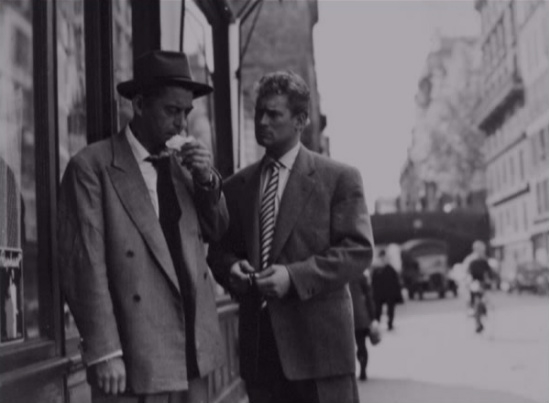 Every subsequent heist film feels like a cheap knock-off of Rififi and, y’know, “less than.” I think two of the only films that come close to the purity of Rififi’s heist are Le Cercle Rouge and Michael Mann’s Thief. 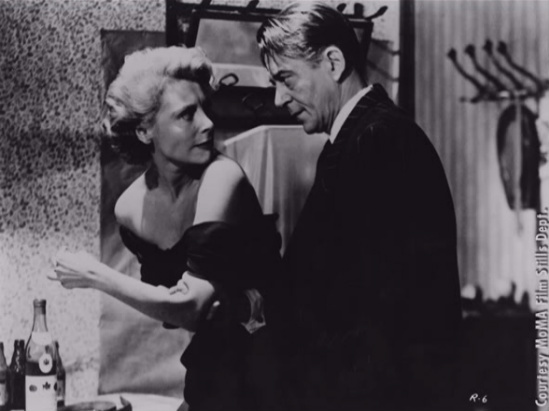 Rififi is more stark in its tone and photography than these other films, however. I wouldn’t even call it black & white – it’s more black & grey. Dassin insisted that they never shoot during the day, making the lives of crime depicted in the film that much more clandestine and effectively shady. Is It Worth a Look: Equal parts bleak and surprisingly optimistic, Dassin’s masterpiece is a must-see for fans of the crime genre. Criterion put out a solid DVD of it back in 2001 and it’s still in print, so check it out. Random Anecdotes: The heist scene was based on an actual burglarly that took place in 1899 in Marseilles. The hoods cut a hole in the floor of a second-floor shop to get to the jewelers below. They also pioneered the use of the umbrella!